The question crawled out of my mouth like a brave child curious of the world. He chuckled, a trembling one, and spoke. “I was eight, nine or ten. Who knows? I was innocent. No, more like I was stupid.” His voice ended with a growl. “He poked me. It hurt at first but when I looked up I saw the smile on his face and so I thought it was a game, so I poked him back. Over and over again we were poking each other. It was fun and I was laughing having a good time with my father, just playing a game” he rushed out urgently to it “just being a game’’ his body turning eyes glazed with the mind set of assurance, so I didn’t argue. “My mother, she, got mad at the looks she was receiving. Ha.” he chuckled. “Even back then she cared of what others thought. So anyway. She told us to leave since we wanted to act like fools and surprisingly my dad picked me up and took me out of the ceremony into the foyer. Where instead of putting me beside him he sat me on his lap and we started poking each other again. It was just so fun and I don’t know why but it was. God why was it so fun?” he whispered to himself yet I heard, just didn’t press or show it. “He placed me deeper on his lap and began to bounce his legs. I became uncomfortable and shifted but he kept bouncing and poking me but I didn’t poke with him. Even at that age I knew something was wrong with what was happening but I couldn’t move. God why couldn’t I move?” he once again whispered to himself. His voice died off at the end and I put my hand on his shoulder, speechless. Mia Brown is a junior at Mesquite High School. She has participated in after school readings such as the end of the year creative writing program exhibition at her previous high school and also the 2016 Dallas Festival of Ideas. 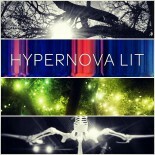 An excerpt and announcement of this story’s place in the contest was also published here, on Hypertext Mag, the site that hosts this contest and sister site of Hypernova Lit. This entry was posted on October 17, 2016 by Chelsea Laine Wells in Fiction.